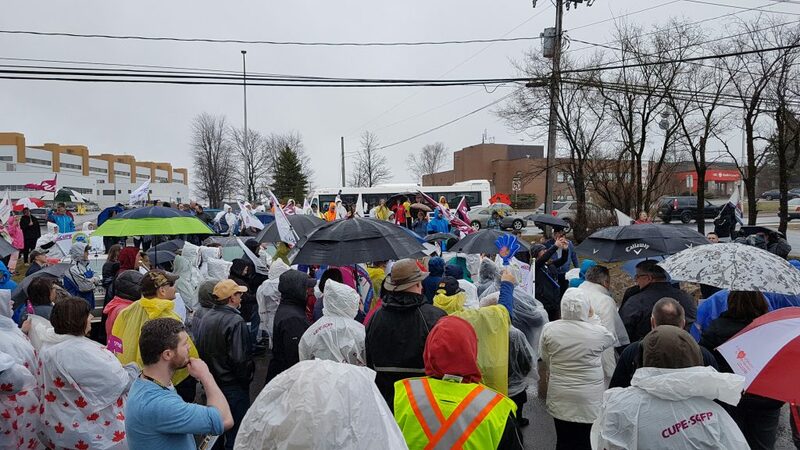 Fredericton – This Thursday, over 300 CUPE members rallied in front of the provincial office of the New Brunswick Association of Nursing Homes office (NBANH), the organization negotiating for the majority of nursing home employers in New Brunswick. 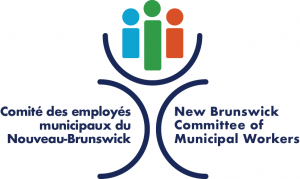 The NB Council of Nursing Homes Union, which represents 4000 CUPE members working in 45 nursing homes across New Brunswick, is protesting the inflexibility of the NBANH which led to breakdown in bargaining talks with the Union Council. “The employer is still demanding concessions and wants to create a two-tier employment system. This is unacceptable. If they don’t take this off the conciliation table, a strike is unavoidable,” said Wayne Brown, President of the NBCNHU. 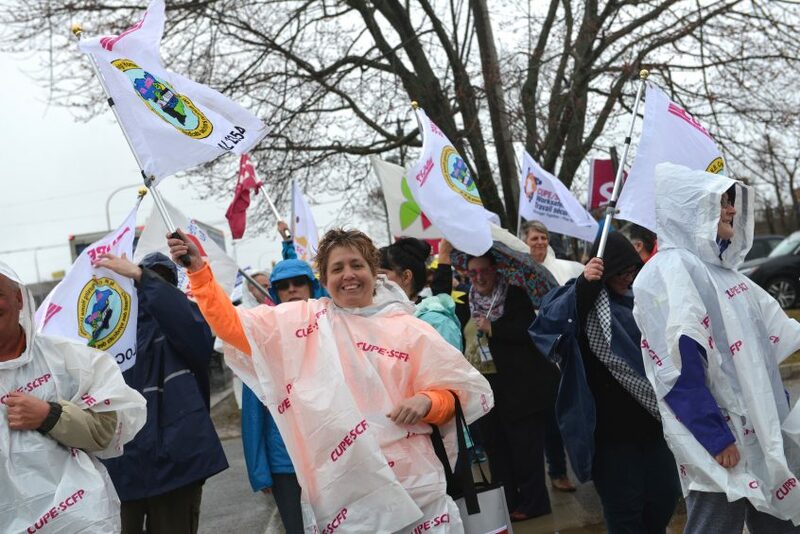 “CUPE members have adopted a National Policy on fighting concessions and two-tier agreements. This means we are ready to put the whole weight of CUPE National behind the nursing home workers. 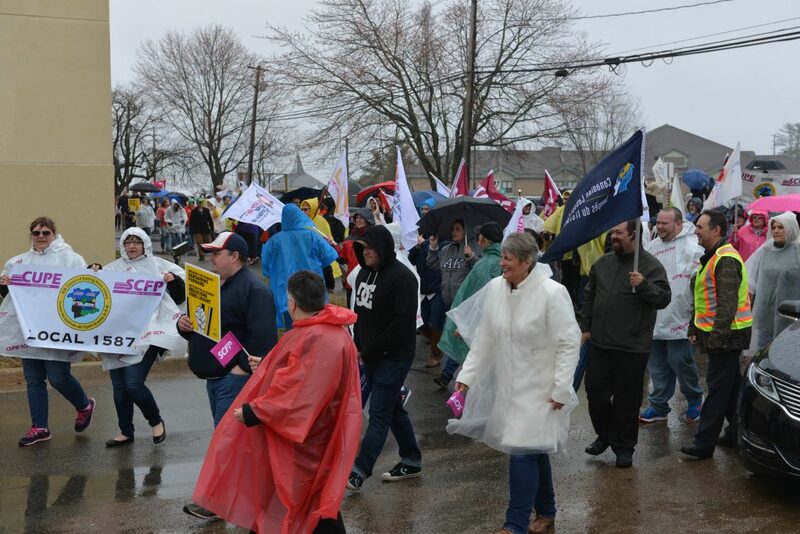 CUPE will bargain forward, not backwards,” said Mark Hancock, CUPE National President. 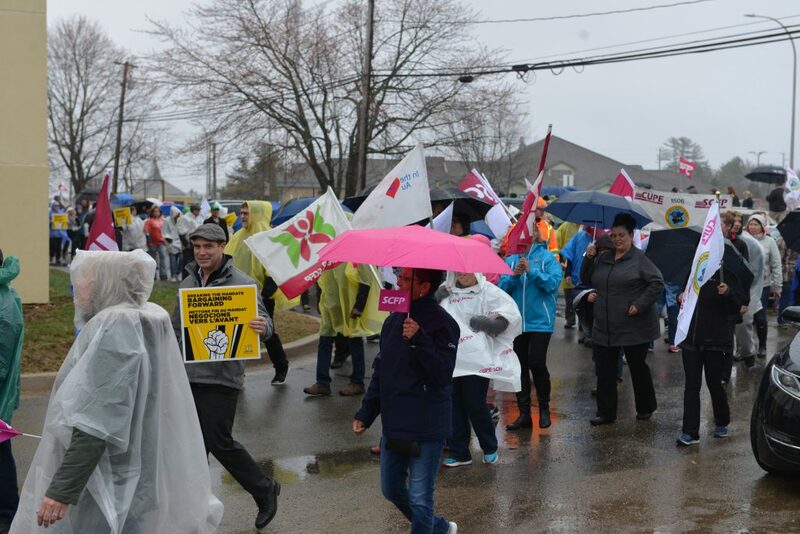 CUPE members in nursing homes agree the employer’s proposal will not solve the ongoing understaffing and workload problems in nursing homes. “Our union’s general meeting is coming up in May – we have now added strike preparation and education sessions for all members on the agenda,” said Roland Cormier, Vice-President of the NBCNHU. Contract talks between the Union and the Employer broke down on March 23rd. A conciliator has been appointed to meet with both parties on the last week of May. The NBCNHU represents more than 4000 members working in 45 government funded nursing homes throughout New Brunswick. They represent resident attendants, Licensed Practical Nurses, but also maintenance, housekeeping, activity, dietary, laundry and clerical staff.